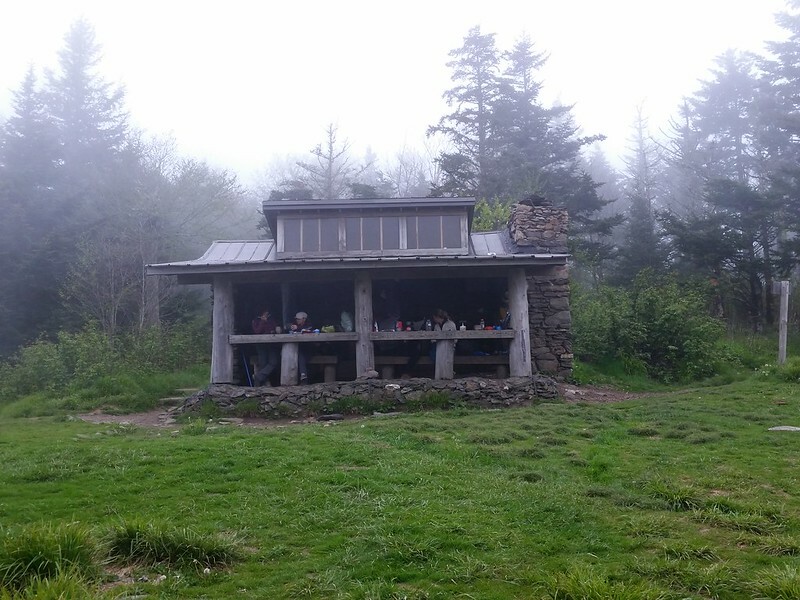 The Appalachian National Scenic Trail, generally known as the Appalachian Trail or simply the A.T., is one of the longest continuously marked footpaths in the world extending between Springer Mountain in Georgia and Mount Katahdin in Maine. The trail is roughly 2,200 miles (3,500 km) long, though the precise length changes over time as parts are modified or rerouted. 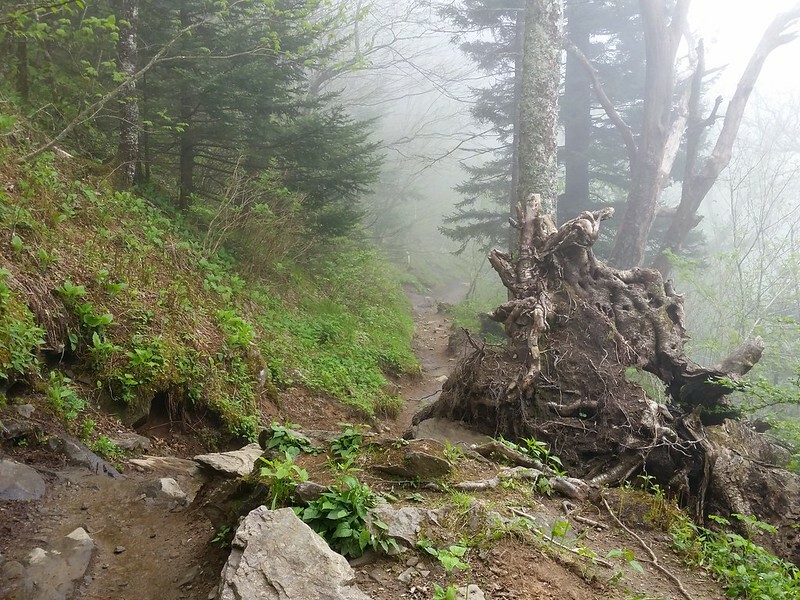 The trail passes through 14 states along the crests and valleys of the Appalachian mountain range: Georgia, North Carolina, Tennessee, Virginia, West Virginia, Maryland, Pennsylvania, New Jersey, New York, Connecticut, Massachusetts, Vermont, New Hampshire, and Maine. 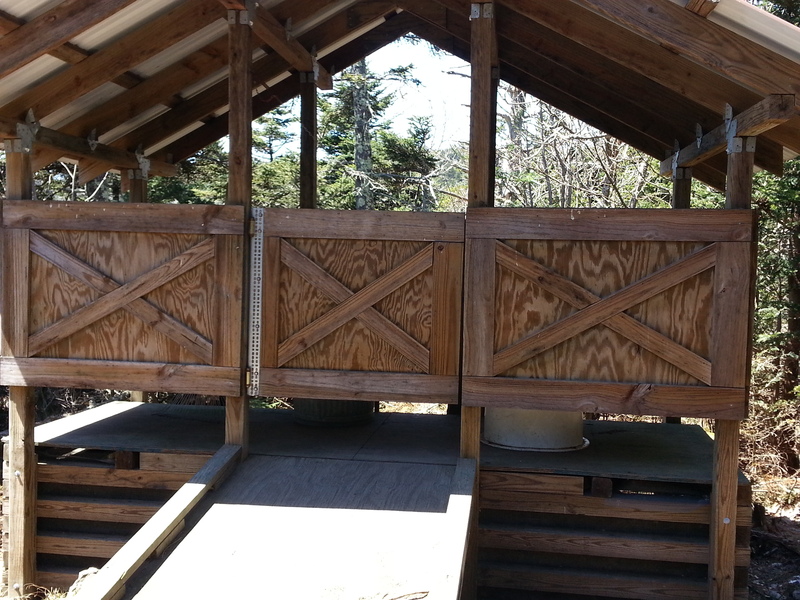 The trail has more than 250 shelters that are usually spaced a day’s hike or less apart, most often near a water source (which may be dry) and with a privy (a kind of backwoods outhouse) nearby (with some exceptions). 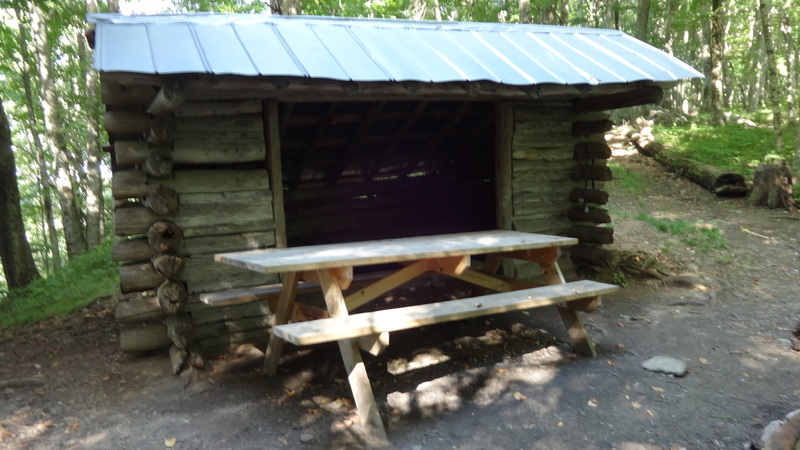 Shelters (also called lean-tos and huts in some areas) are generally open, three-walled structures with a wooden floor, although some shelters are much more complex in structure. 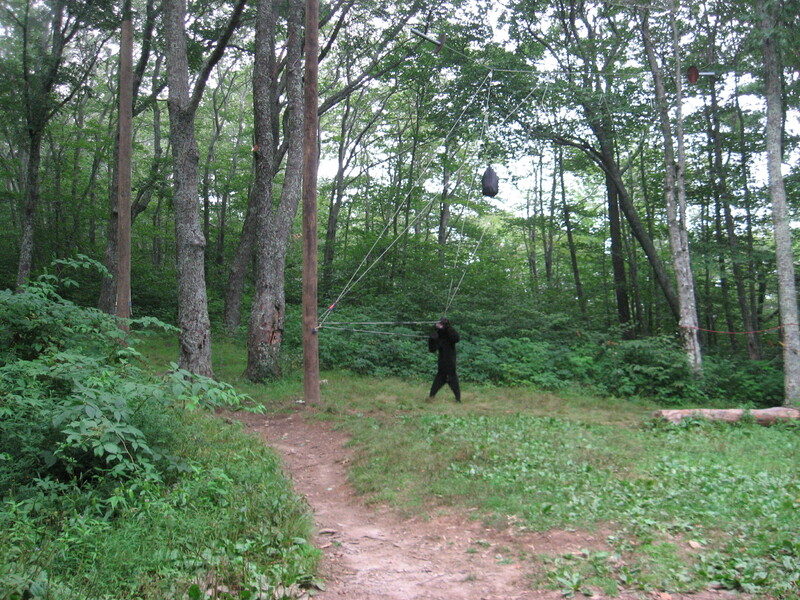 In certain areas with high black bear activity, a pole & pulley system called “bear cables” or bear poles are provided to hang your food bag from, in an attempt to thwart the pesky Yogi and Boo-Boo from stealing your grub. Unfortunately, mice are more prevalent at most shelters, and have been known to steal food, chew up socks for nesting material, collect acorns in shoes for storage, scurry along the walls (and over sleeping hikers), and one even gave birth to babies in a hiker’s backpack! 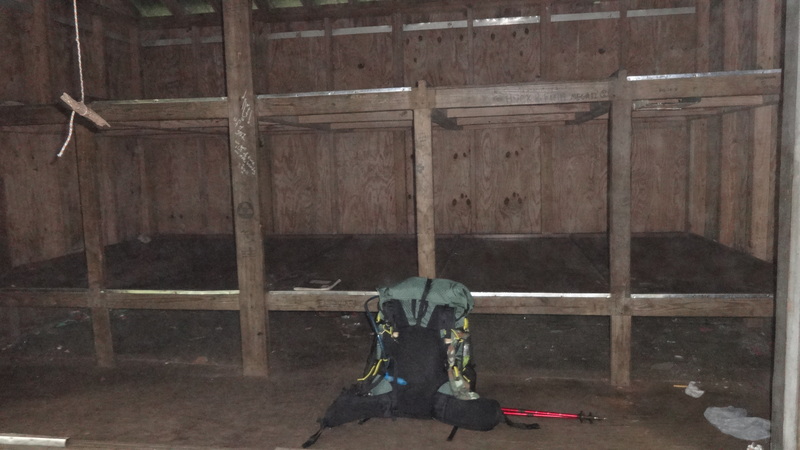 Inside Bald Mountain Shelter. 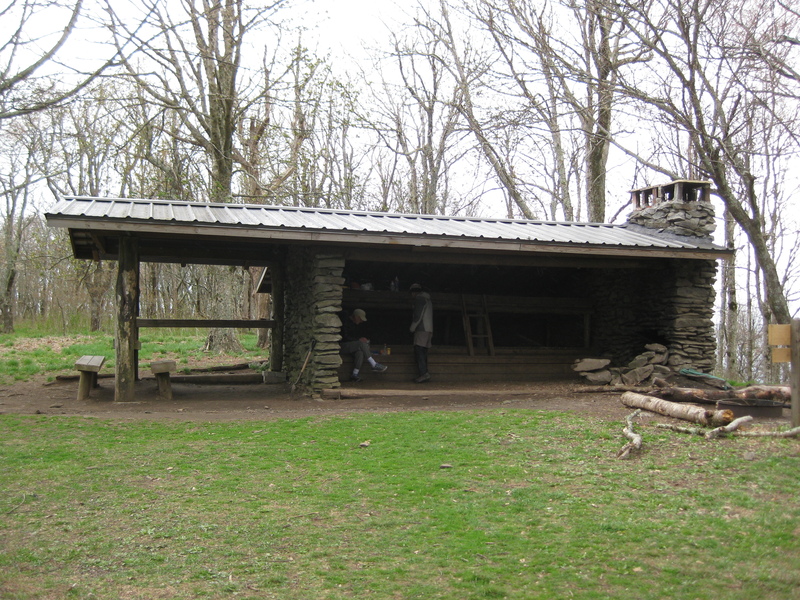 Note the two sleeping platforms. 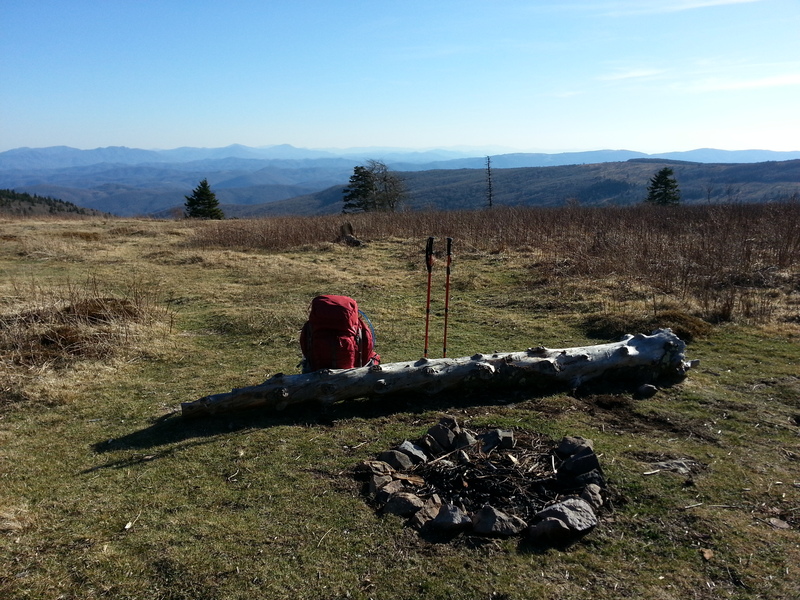 There are hundreds more established, unofficial campsites spread out along the trail. 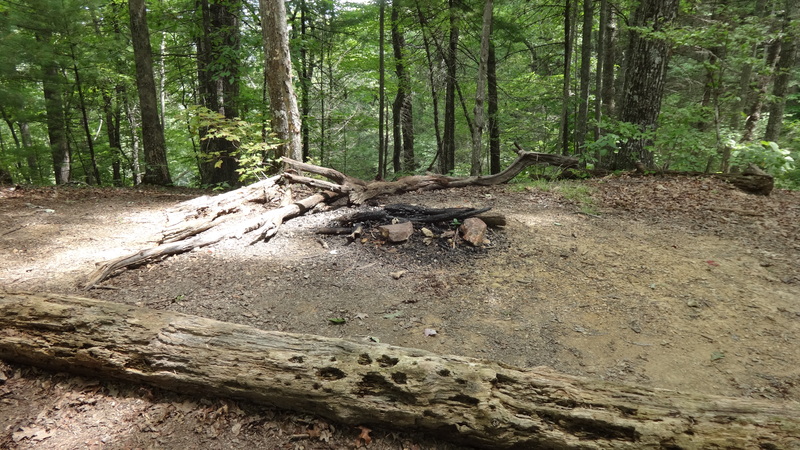 These are usually nothing more than a patch of land cleared of leaves and debris, many with some kind of fire ring and a stump or log of some kind to sit on. Most shelters have tentsites co-located near them. People who don’t want to sleep in the shelters opt for tents, hammocks, and sometimes “cowboy camping” (sleeping directly on the ground under the stars). In case you’re wondering, there’s no need to start out a multi-day hike carrying every drop of water you’ll ever need. 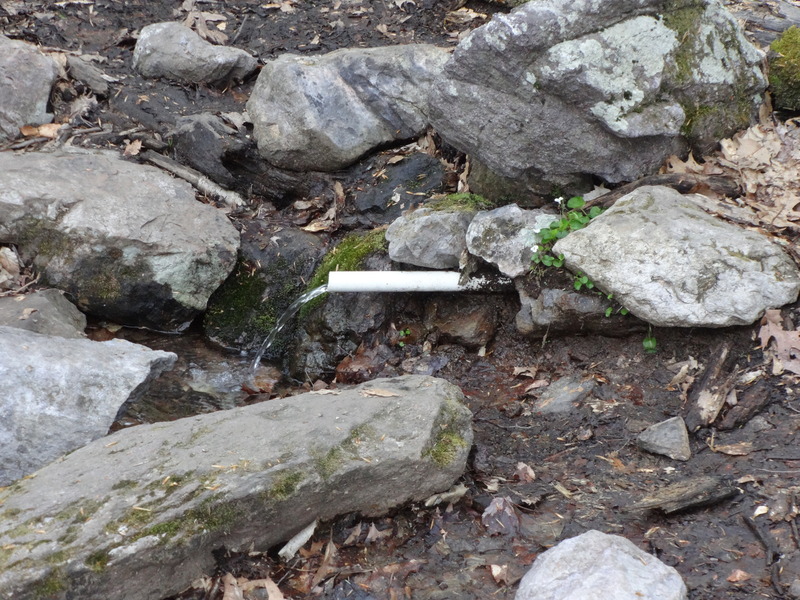 “The trail provides” is a saying, but it’s true- there are numerous piped springs, natural springs, streams, and creeks in which to get your water. 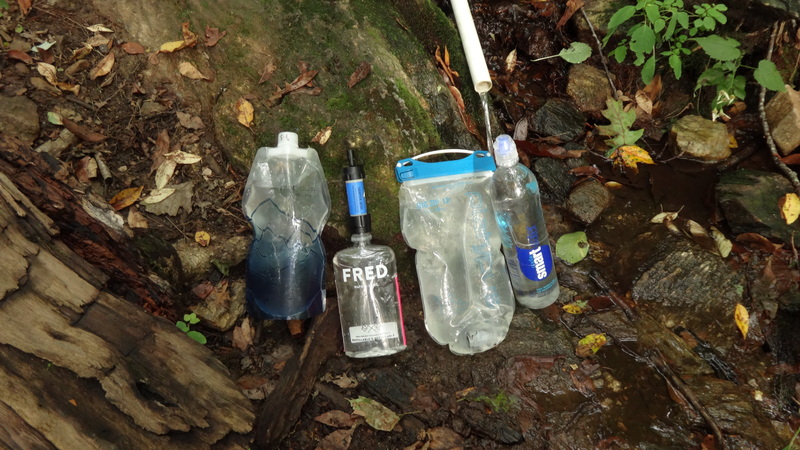 It’s highly advised to treat your water somehow, either via chemicals tablets & liquids, filters, or ultraviolet pens, to prevent against Giardia, Cryptosporidium, and a host of other nasties that can ruin your hike. 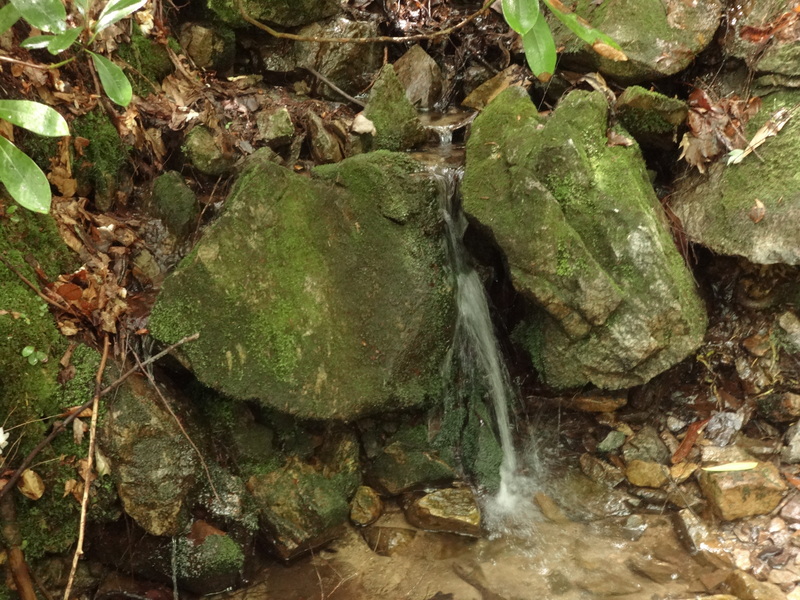 Even so, I’m convinced that there’s nothing better than water naturally flowing out of a fissure in the side of a mountain. Talk about refreshing! In a word, no. It’s safer than most medium-sized cities. There have been a few incidents, but the serious ones are few and far in between. Hikers tend to look out for one another, because we’re all out there with a common goal- enjoying the trail. 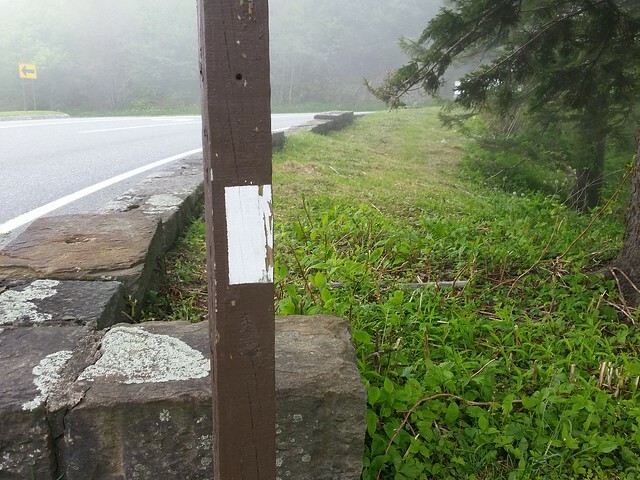 It’s usually the weekend partiers and non-hikers who park at trailheads and hang out at shelters and campsites near roadways that cause the most trouble. It’s for that reason many of us won’t sleep at any site that’s within a mile of a road. The danger usually lies with getting careless, fooling around with snakes and wildlife, and generally not paying attention to your body. 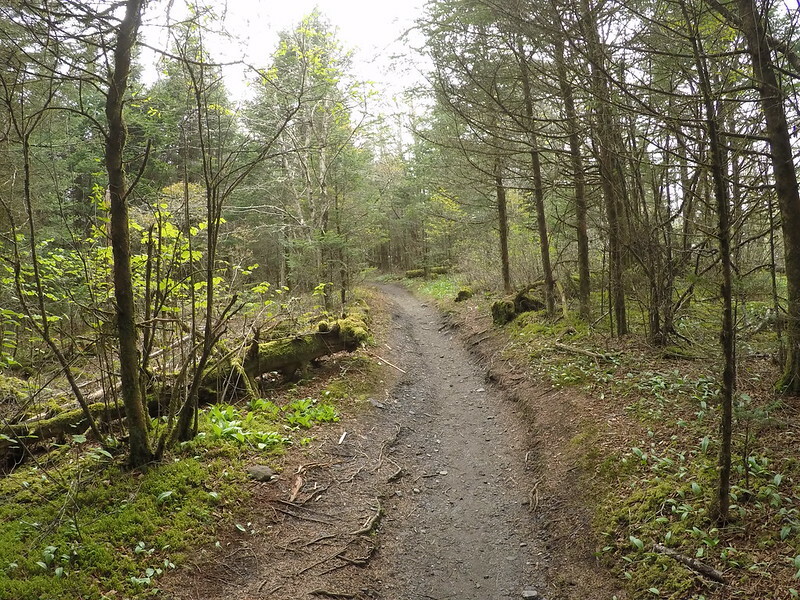 The trail itself varies. Sometimes it’s a narrow path no more than a foot wide. Sometimes it follows an old woods road, a US Forest Service Road, paved roads, and over bridges. It runs through the heart of a few “trail towns” such as Damascus VA, Hot Springs NC, Harper’s Ferry WV, and Boiling Springs PA. 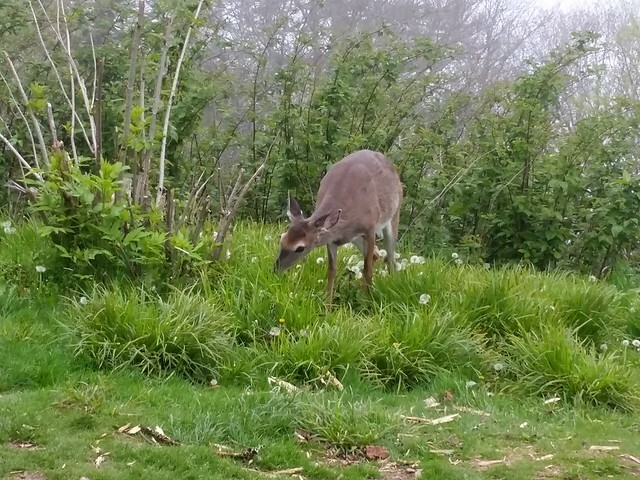 Most of the time it is deep in the woods, a path carved into the sides of mountains, following ridges, descending into gaps and crossing roads, climbing over numerous summits (both forested and cleared), and at times emerging out of the woods to open grassy fields and cow pastures. It can be rocky, rooty, wet, and challenging, but for the most part you’re always either climbing UP a mountain or descending DOWN one. 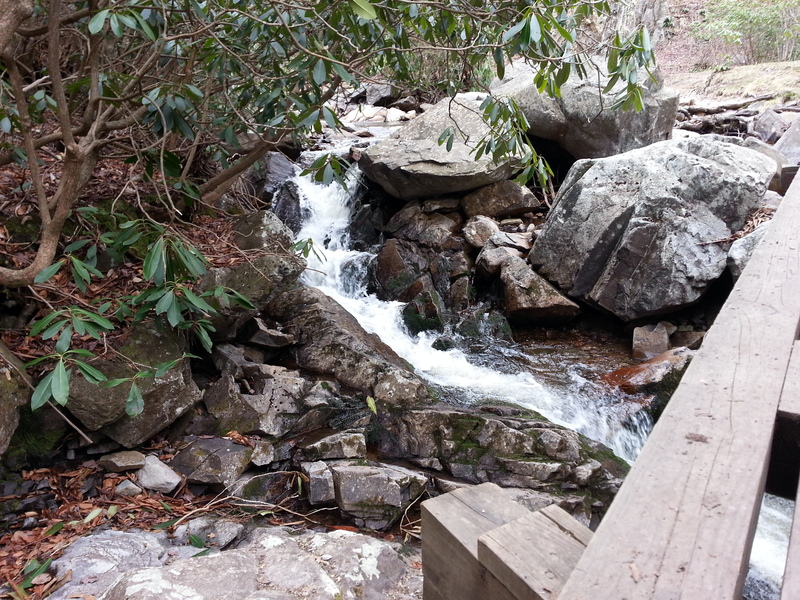 and of course, over more rocks. This is just a small sampling of what the trail has to offer. No wonder it’s so popular. 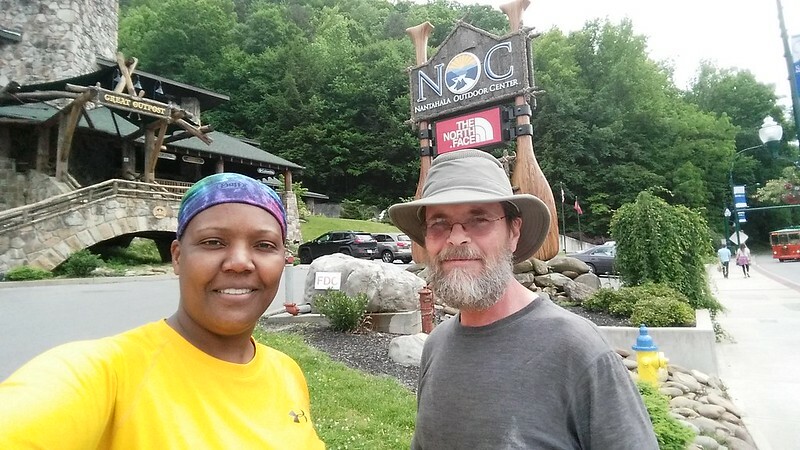 This entry was posted in Appalachian Trail, North Carolina, Tennessee and tagged Appalachian Trail, Big Hump, Carver's Gap, Doll Flats, Little Hump, Mountain Harbour B&B, Overmountain Shelter, rhododendrons, Roan Mountain. Bookmark the permalink.